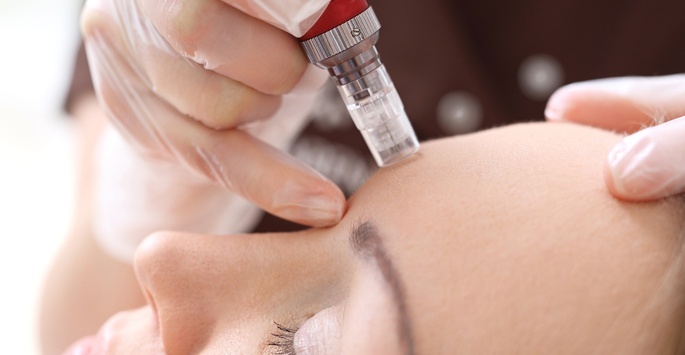 Our microneedling treatments utilize advanced techniques to promote skin health. Micro needling works by creating micro-injuries in the skin that trigger the production of collagen and elastin. Platelet-rich plasma, or PRP, contains growth factors that initiate collagen production. Want to see what a session of microneedling is like? Listen to the firsthand experience of a Supriya Dermatology patient who tried it!